Quebecers looking to have a vaccination may have noticed that the process of getting immunized is a little more involved than it used to be. Many may be surprised to discover that their family physician no longer provides this service, and are unsure of their options. At the end of January last year Québec instituted a ban on accessory costs, making it illegal for doctors to charge for health care services already covered by the Québec's health insurance board, the Régie de l'assurance maladie du Québec (RAMQ). That includes provision of vaccinations. If you are an individual who routinely saw your family physician for a checkup and vaccinations update, before travelling for work or leisure, or took your kids for their vaccinations to prepare for another school year, you may be wondering where to access the immunizations you need. 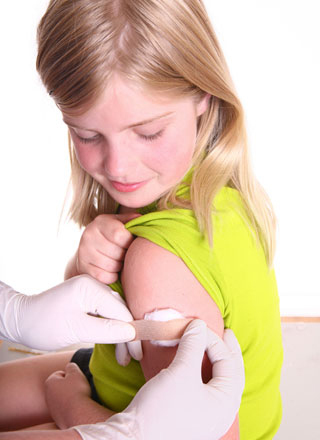 The procedure to follow to get vaccinated varies by region. Generally, people in Quebec have a few options – all vaccines listed in the Quebec Immunisation Program are provided free of charge at any local community service centre (CLSC). The difficulty may be accessing vaccinations in timely fashion, as waiting lists have grown since this policy change was introduced. Reportedly wait times continue to be several months, which is a particular concern for people trying to access vaccinations for babies and young children according to the Quebec Immunisation Program’s recommended schedule. You may also access the vaccinations you need at a private medical clinic, a travel vaccine clinic, and some pharmacies that have a nurse on staff to provide vaccinations. The whole process is easier when you plan ahead and know where to go. Vaccines411.ca is here for you with a quick and easy solution. Just type in your postal code, select a category, choose one or more vaccines and get a list of the 20 vaccinating clinics nearest to you. It is always advisable to call ahead to confirm availability of the vaccine you need, to find out about any associated fees and to make an appointment. As of January 2019, all vaccinations provided in Quebec will be recorded on a computerized file, and an immunization card provided. It is important to take care of your immunization records – lost vaccination cards will not be replaced. Canadians can track their immunizations themselves right now using CANImmunize, a digital immunization record with a mobile app for smartphones, and a soon-to-be released desktop version as well. Access this handy tool. Don’t let a change in the rules interfere with your family’s protection against common preventable diseases. Check with your vaccinating clinic or your physician to find out how to keep your vaccinations up-to-date.